On March 12, Joel Rivera Rodriguez, 35, of Clarksburg, Maryland, was arrested for driving without a valid license, as well as having an active warrant for failing to appear in court. He had been pulled over for driving without plates. After a search of public records, WJLA ABC7 News discovered Rodriguez had been arrested just this past February for his seventh DUI in five years. Readers of the article were shocked to hear that he hasn’t served any significant jail time or paid fines. Rodriguez’s first DUI arrest came in October of 2014, according to the Maryland Judiciary Case Search. Three more charges in 2016, another in 2017, and two more in 2018 quickly followed that up. His first three DUI charges resulted in guilty verdicts, minor fines, and probation. His fourth case was dropped for unknown reasons, and the last three cases are still pending in the system. According to Noah’s Law, passed in 2016 to honor a police officer killed by a drunk driver in the line of duty, anyone convicted of blowing the legal limit of 0.8 in a breath test will be required to install an ignition interlock device on their vehicle, or risk suspension of their license. This is a good deterrent, but as Mr. Rodriguez showed us, some people will just do whatever they want – illustrated by his driving a car that wasn’t his, without a driver’s license, under the influence, whenever he felt like it. However, this did get me thinking. Is there even a formal penalty for getting a DUI seven times? For a first offense, you’ll typically face a $1,000 fine and up to a year in jail. You could lose your license for up to six months. A second offense is usually a $2,000 fine, with a mandatory minimum of five days in jail, and a maximum of two years. Two convictions within five years and you’re known as a “repeat offender.” This gets you a one-year mandatory license suspension. You’ll also be required to participate in the ignition interlock program (IIP) for one year once your suspension is lifted. Remember, if you’re required to participate in the IIP program, you’re financially responsible for the equipment and installation. 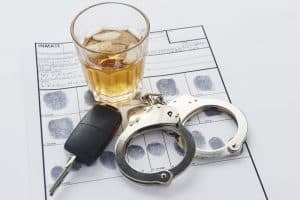 The best way to avoid all this is to hire a skilled Annapolis DUI defense attorney. Call Drew Cochran, Attorney at Law, for straightforward representation and guidance. I work to protect your rights and help get your charges reduced or dropped. Call me today at 410-777-8103 or complete my contact form to schedule a meeting.